Hope you all had a fabulous weekend. 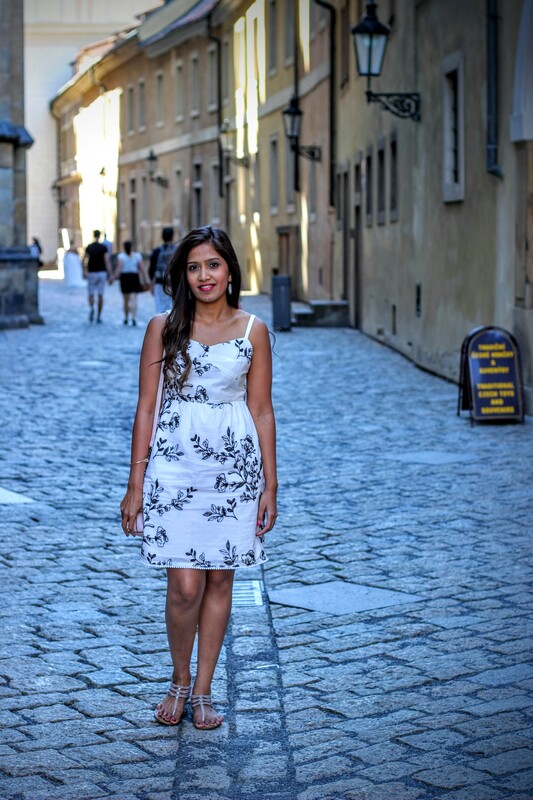 Today I wanted to post about this beautiful white and black sundress I wore on my trip to Prague (Czech Republic). First of all, thank god we don’t live in the 1900’s and don’t have to follow the “No white after labor day” rule. My taste in clothes is extremely feminine and whites and light pastel colors make up most of my wardrobe. 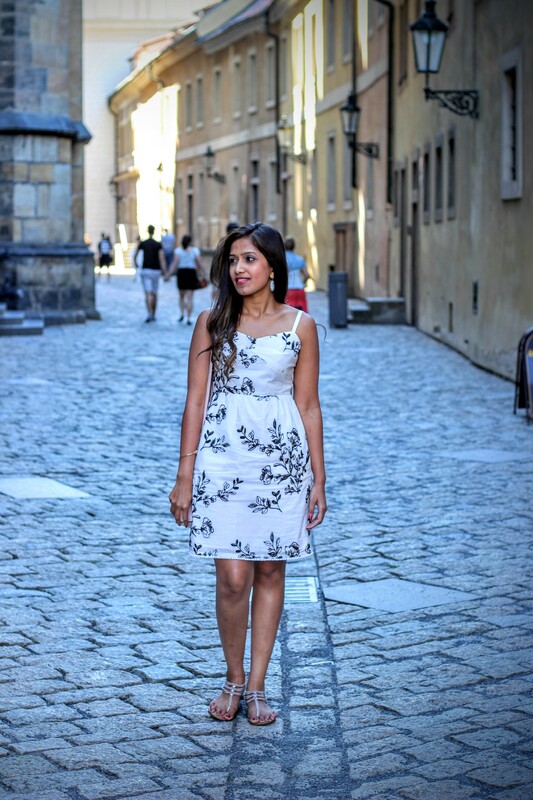 I have styled a number of white outfits for winter as well and I love how sophisticated and beautiful that looks. Check my post here on styling a tulle skirt and this beautiful outfit consisting of pastels and sparkles. 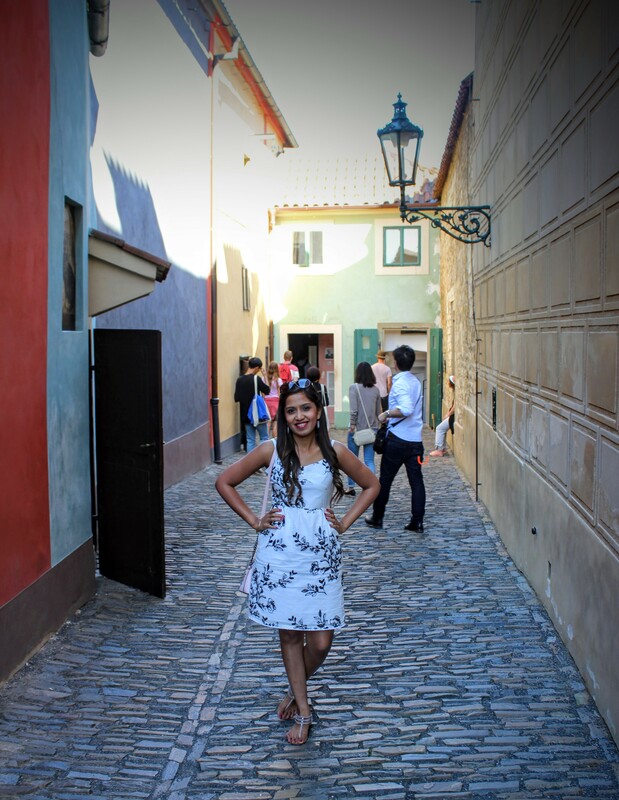 If you’ve never been to Prague, you should totally plan on visiting. 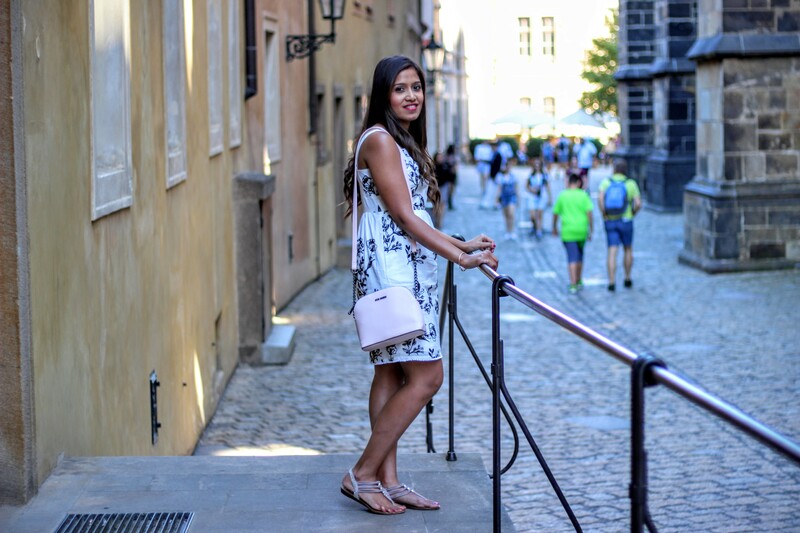 The city feels like it’s set in an older era full of castles, cobbled streets and beautiful buildings. 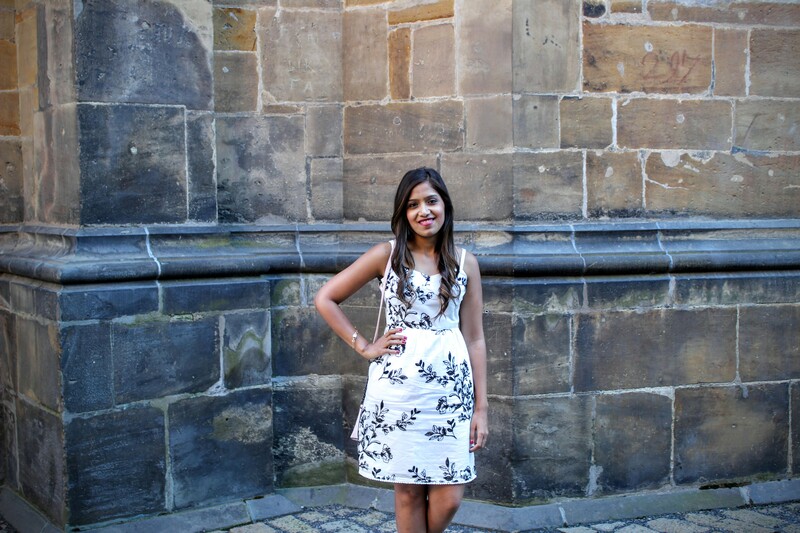 So this dress for perfect for exploring the city. I am pear shaped and hence I stick to outfits that suit my body type. 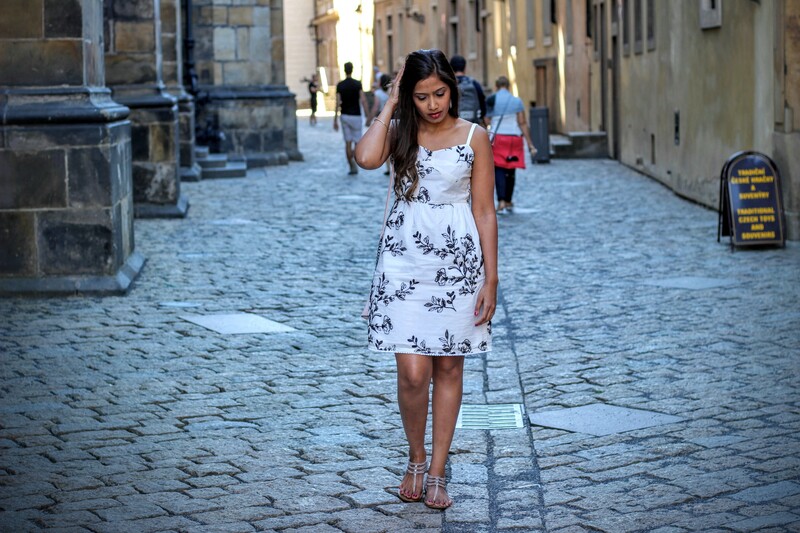 If you are like me, you would want to invest in more feminine and flowy dresses. Style Tip: You can always style sundresses with stockings, a blazer or jacket and booties in the fall and winter. I would style this dress with a hairband, black stockings, flat shoes and a blazer for a totally chic look for fall. I wanted to keep my accessories very elegant and minimal with this look. 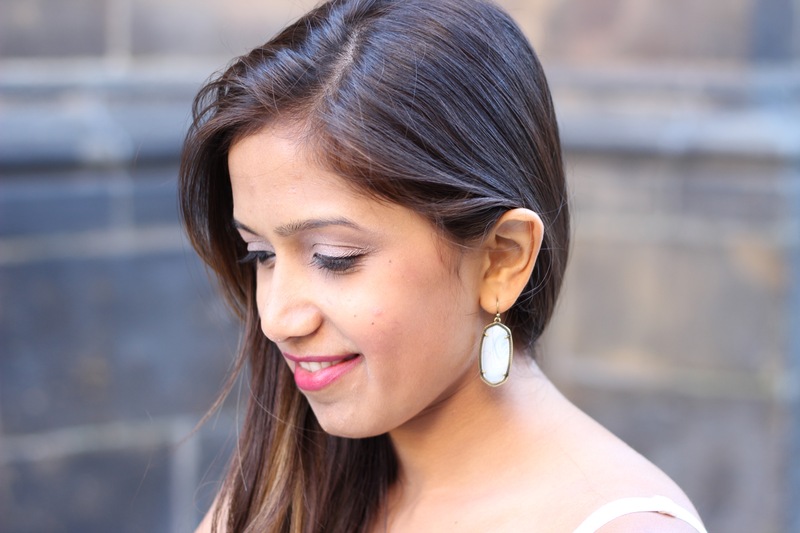 So I opted for these crystal white drop earrings from Rocksbox and a similar bracelet from The Limited. 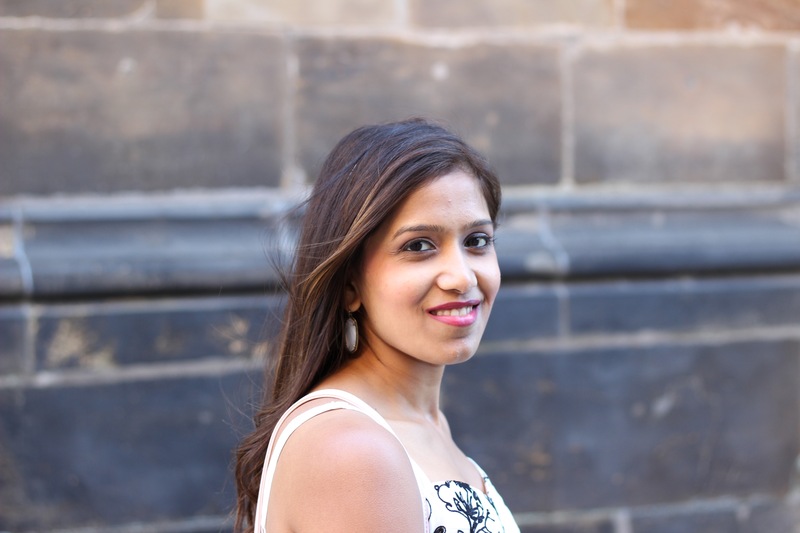 Style Tip: Drop earrings and dainty bracelets look fab with loose silk tops, jeans and flats. That’s my usual work look and it looks very chic and business casual. To go with the same color theme, I wore these light pink flat sandals and carried a light pink Steve Madden bag. 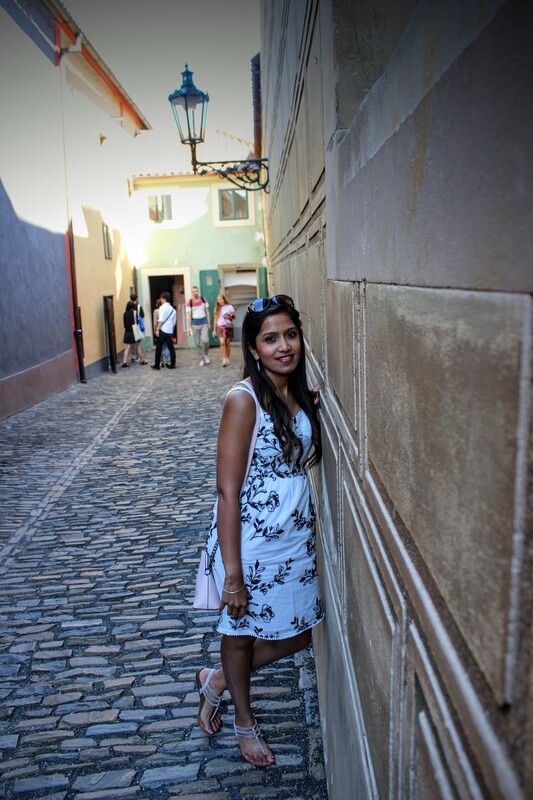 Style Tip: For a soft romantic date look wear light pastel accessories with a white dress. It looks very feminine and delicate. You can always wear your hair in a braid or half up. Prague looks like a very beautiful place, I always wanted to go there! hope to be able to go some day. The outfit is just perfect! Love the jewelry you used. Love the post ! I don’t follow the rule either , White all year long ! 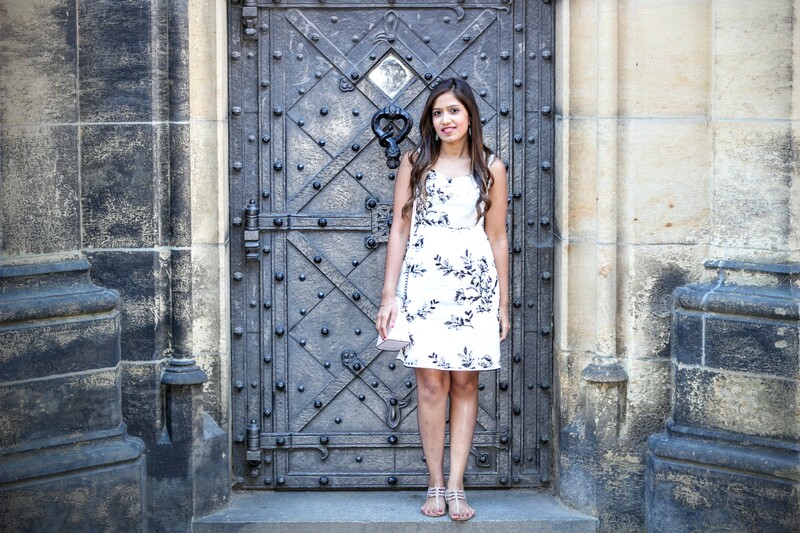 Beautiful dress and beautiful pictures, girl ! 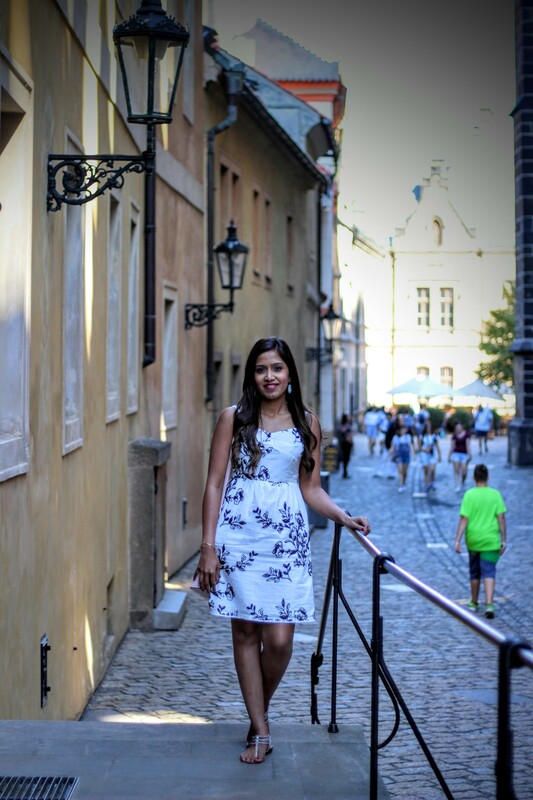 Ankita I have heard that Prague is a beautiful place to visit,it’s there on my travel list.The pictures are so well shot-as always.I love all your OOTD’S and this dress looks so good on you.You look beautiful,as always sweetie. 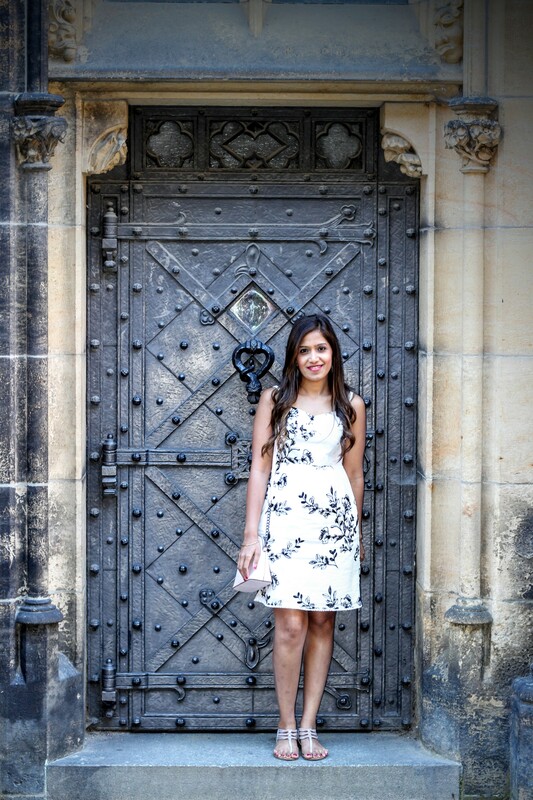 Loved all your pictures wandering in Prague!